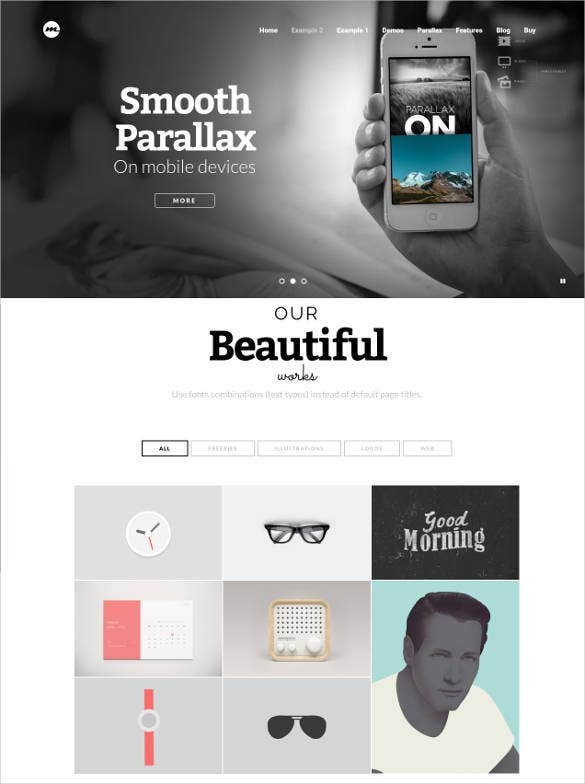 For some of the 100% responsive templates with parallax features, turn to parallax responsive website templates. You have choices for either a single page template or multi-pages but the assurance is that every page will have been designed in the best creative manner. 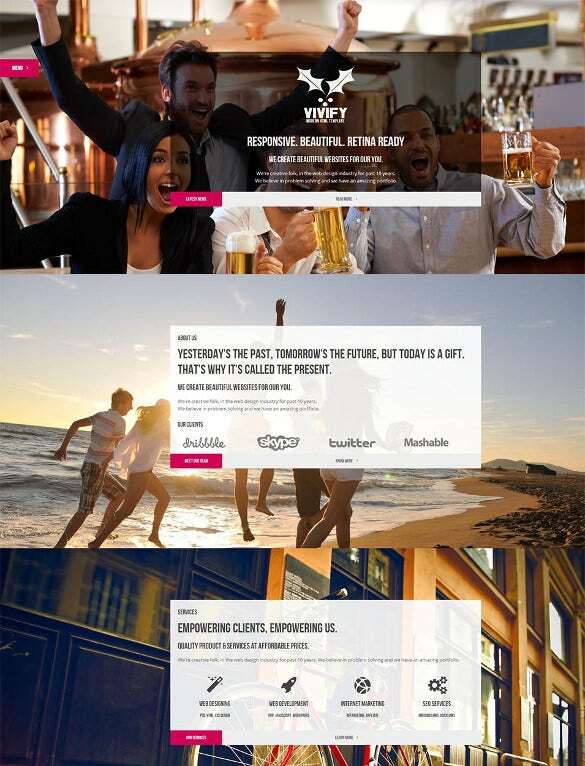 These templates have the characteristic parallax scrolling feature which is the latest offering in aesthetic appeal for templates.You may also check Responsive Mobile Parallax Scrolling Website Templates Equipped with powerful coding like HTML and CSS, they are superbly functional and also come with help files so that they can be used with ease. 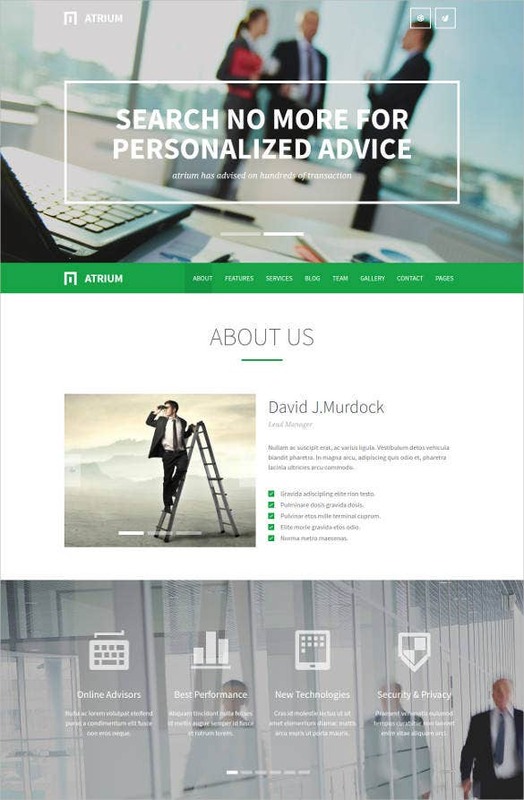 Some of the other amazing features of these top templates are that they are quick to install and have a great amount of choices to facilitate customizations in respect to the layouts with an extensive palette of colors, fonts and designs to choose from.You may visit Parallax WordPress Themes. For those of you that are looking for web templates that are heavily modern and elegant at the same time, this particular example is an impressive one.Top-line features include: cross browser compatibility and smart HTML coding among others! 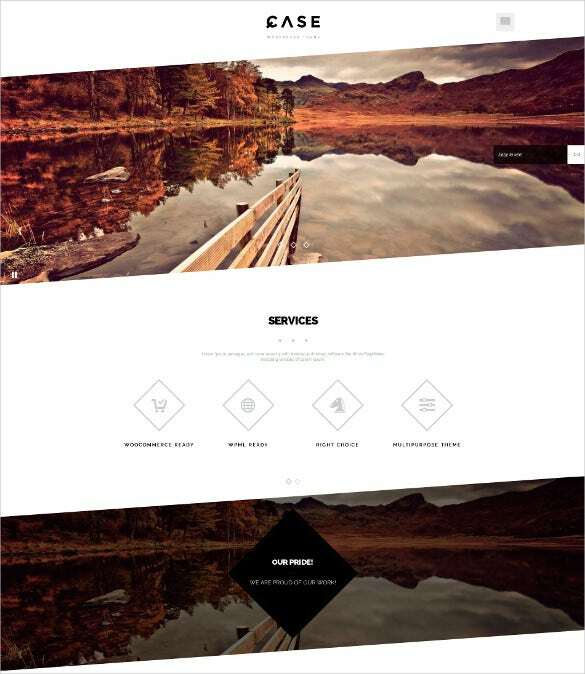 The parallax effect on this Solido template is sure to take you by storm. Make your visitors feel that they are on a space mission. The colour combination, fonts and designs are just impeccable. 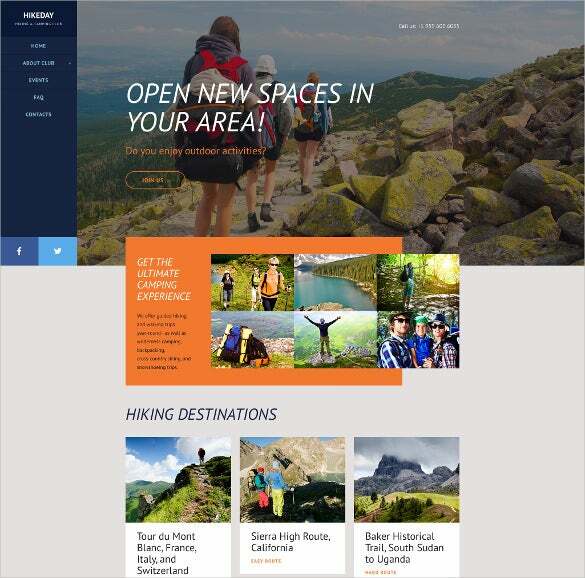 The Responsive Hikeday Parallax Website Template is perfectly well-suited for business and corporate websites. 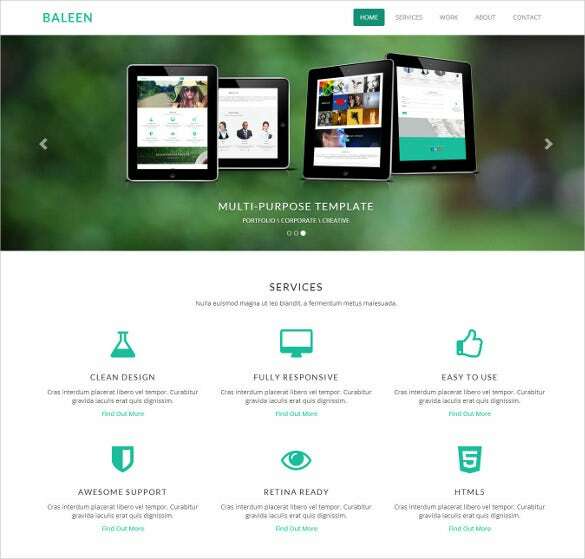 This is one of the top-rankers in the category of themes that enjoy better Parallax support in its scheme of things. The theme is fully-responsive and is wired with HTML and CSS coding and SEO-optimized content. This is a stunning plantillas for creating a promotional website for launching a great app. It comes with parallax background that makes the theme that much more beautiful and the visitors are going to fall in love with it. 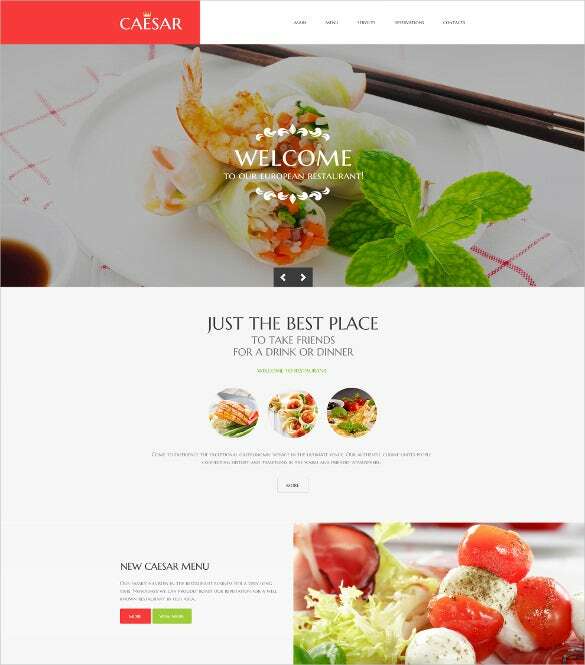 Cafe & Restaurant Responsive Parallax Website Template offers the best option for people who want to represent their gourmet business online. 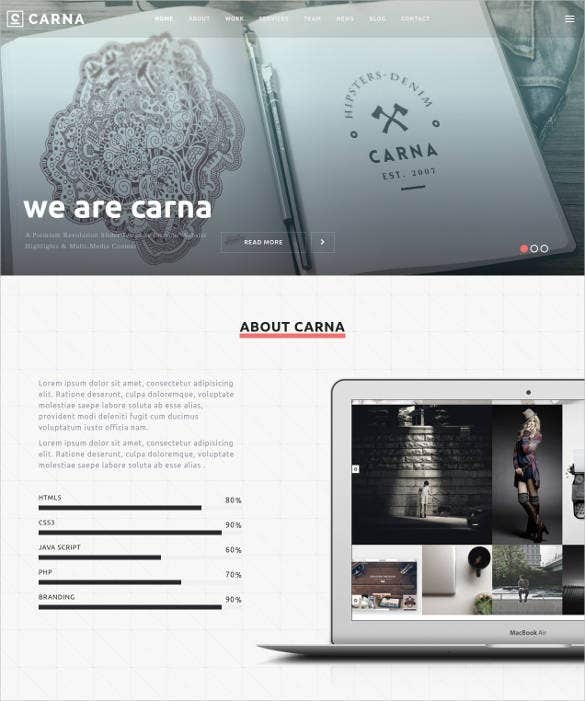 It has free parallax templates along with retina ready images and social media integration. With Interactive Parallax Responsive Template, it is possible to design multipurpose websites with single page parallax template. The parallax template 2016 supports cross browser compatibility along with plenty of short codes and customisation. 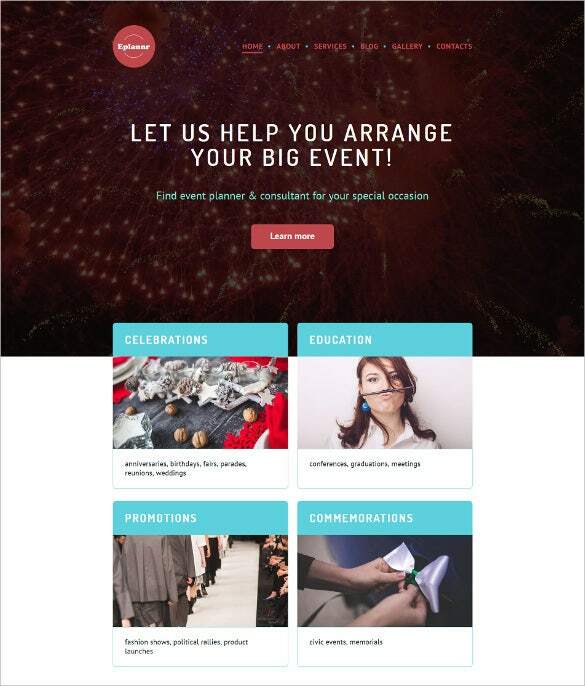 Featured with solid flexible responsive layout, the Event Planner Responsive Parallax WordPress Theme is featured with parallax web design and parallax ecommerce template, making it perfect for any business related website. Photographers and bloggers can use Creative Parallax Muse Website Template which comes with scrolling template and parallax effect template. 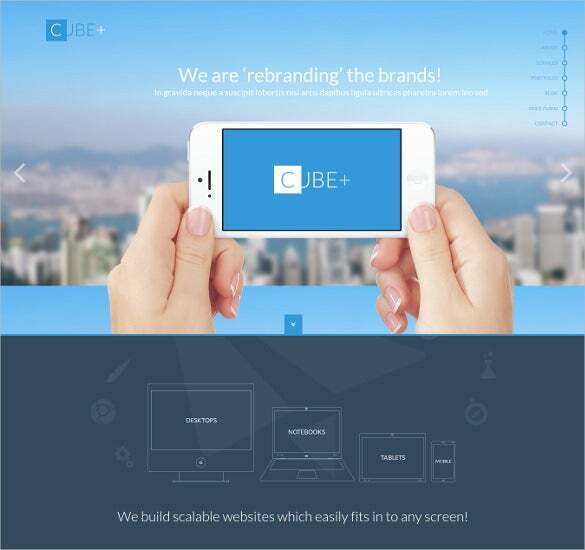 More features include HTML5 & CSS3 & jQuery, filtered portfolio, retina ready images etc. 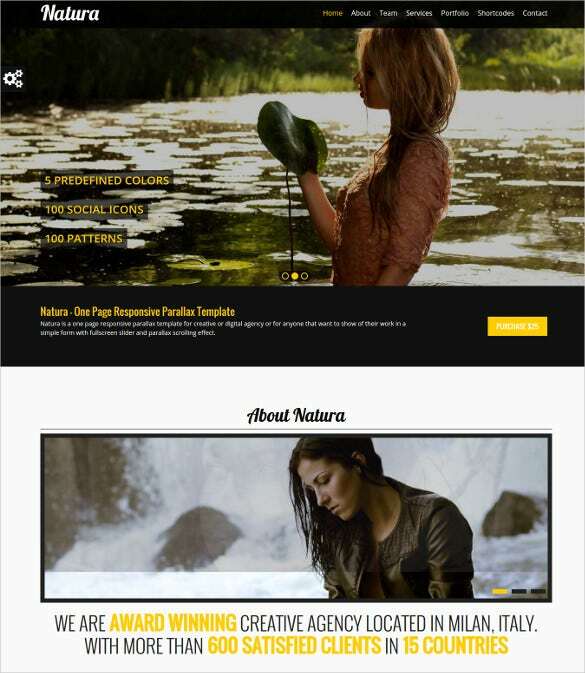 Natura is a one page responsive parallax template that is sure to mesmerize visitors with its enticing design. The visitors will feel the person is the image is actually in front of them. The Easy One Page Parallax Responsive HTML5 Template is another one of the examples which has tremendous Parallax support features. On top of that it also boasts of cross browser compatibility, SEO rich content and social media integration, and lots more other customizable features! 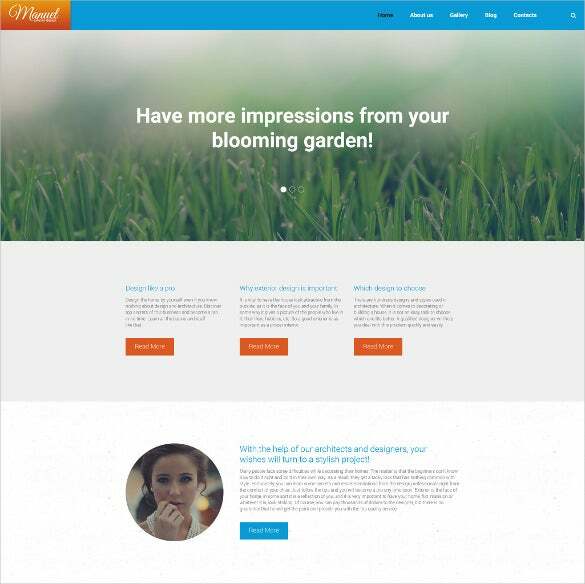 you may also like One Page Website Themes. Revamping the online stores is fun with Model Portfolio Parallax Responsive Website Template which has parallax ecommerce template apart from the other features like retina ready images, SEO based content, extensive documentation etc. 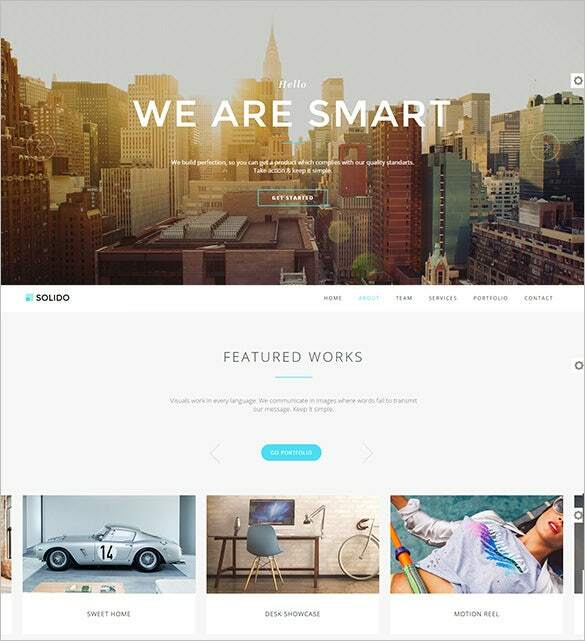 If simplistic website templates are what you are after, take a good look at this example. It is loaded with a simple and minimalist design, further organized with a lineup of options including modular homepage and full screen sliders, fonts, widgets and much more! 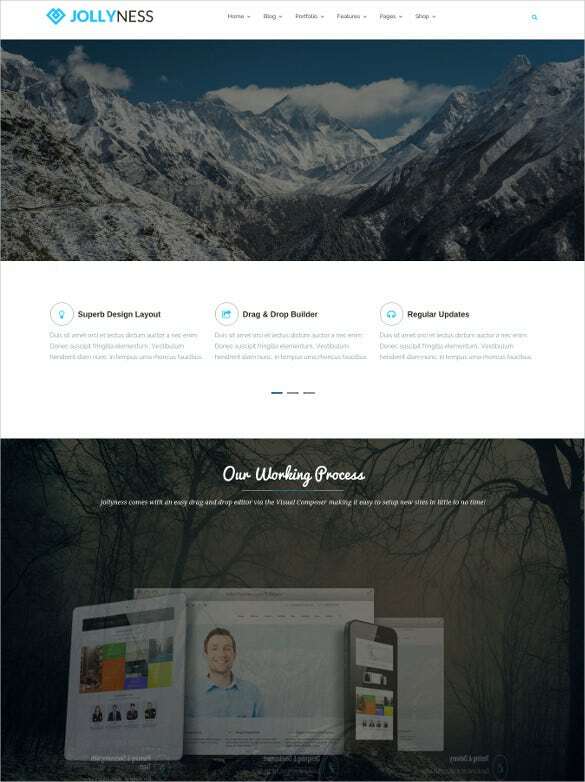 Designed in a clean and minimalistic style, Parallax Theme Responsive WordPress has parallax scrolling website template with HTML5 & CSS3 & jQuery, accordion, headers, bootstrap framework, gallery and blog pages etc. 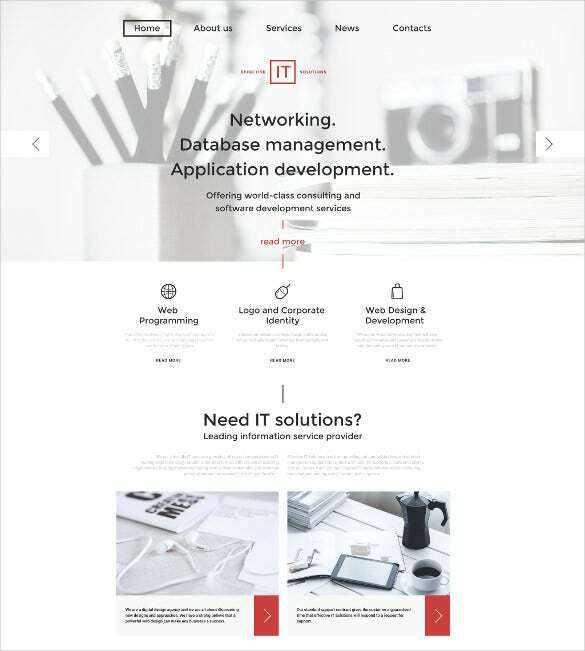 For a modern and professional look, use the Effective IT Solutions Responsive Parallax WordPress Theme. The Cherry Wizard plugin, bootstrap framework, free parallax templates, parallax web design, scrolling template are some of the major features. Flexible, easy for customizing, well documented with HTML semantic coding, One Page Parallax HTML Portfolio Website Theme is ideal for personal and professional use featured with parallax psd template, SEO content, SNS integrated etc. There are four homepage variations and six sliders, along with unlimited portfolio options as well. There are more than 500 Google fonts too. For corporate and agencies, the Exterior Design Responsive Parallax Website Template is a premium option providing parallax effect template with parallax responsive design and free parallax html template for responsive and attractive layouts. 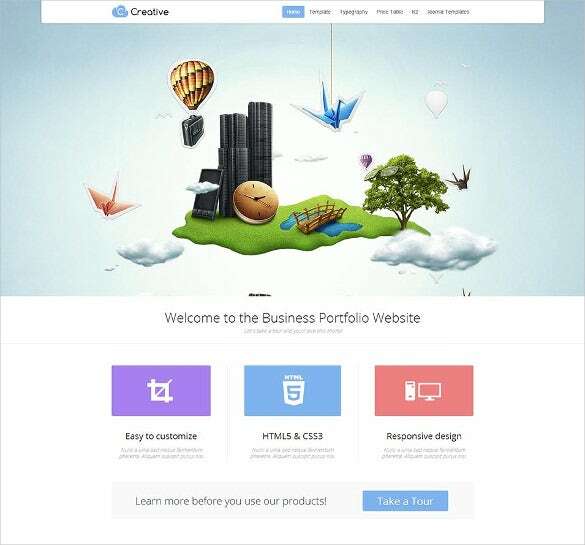 This simplistic theme with Creative one page parallax CSS3 Website Template has parallax template 2016 along with parallax scrolling website template making it a premium choice for photographers, artists, creative agencies etc. For a minimalist yet comprehensive look, try the Minimal Creative Responsive Parallax WordPress Theme aided with Parallax Scrolling Website Template. It is carefully designed to create a seamless user experience. 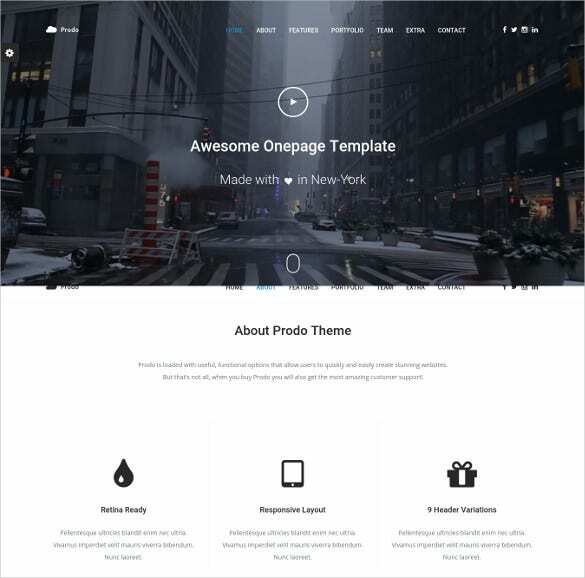 Responsive layout, cross browser support, SEO friendly content, retina ready images, scrolling template, parallax web design and much more advanced features are available with Bootstrap One Page Parallax HTML Template. Developed for special events planning companies or other corporate websites, the Parallax One-Page Portfolio WordPress Theme is aided with parallax ecommerce template along with SNS buttons and SEO rich features. 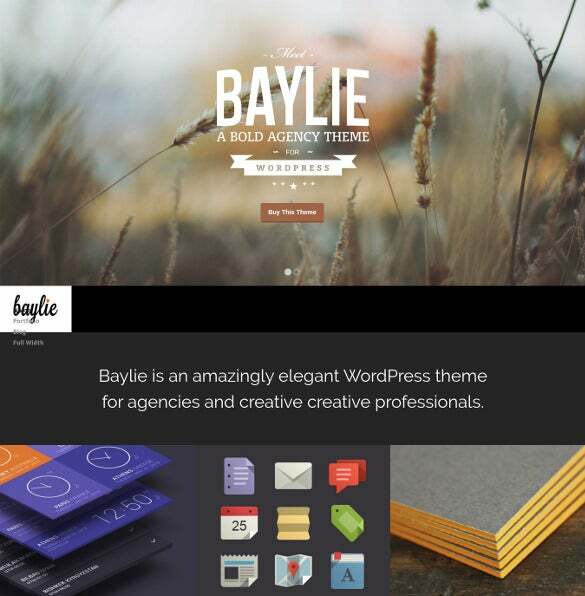 A full screen slideshow is provided by Baylie website template. It is best option for people who want to represent their photography business or want to showcase crystal clear images. 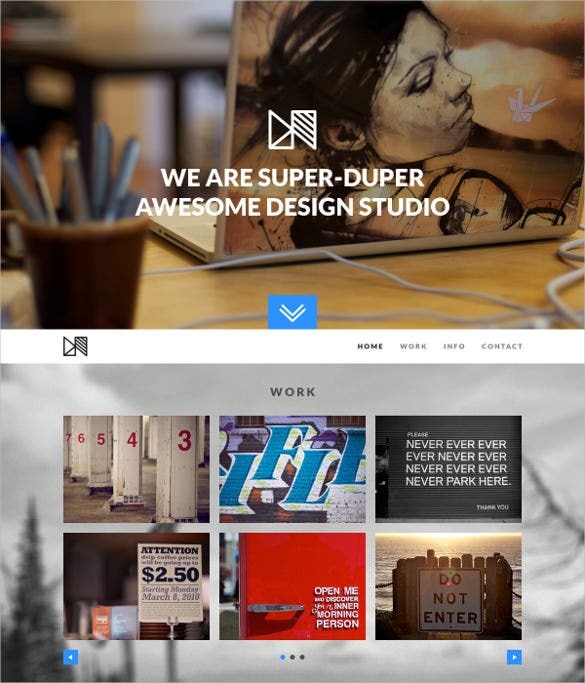 For creatives to professional agencies, the Multi Purpose WordPress Theme offers parallax website theme, parallax effect template, parallax psd template, cross browser support with bootstrap based framework. 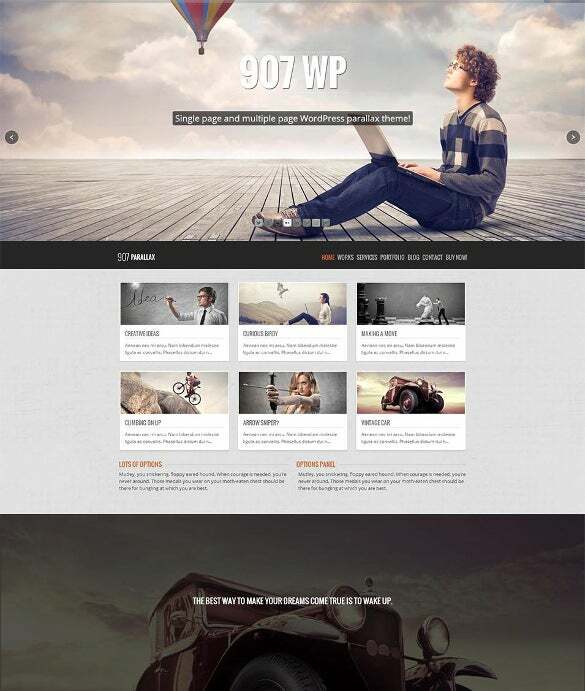 The One Page and Multi Page Parallax theme is one of the best-ranked and highly credible themes in the market now. It’s stack of features includes single page parallax template, retina ready images, short codes, headers, categories, bootstrap framework etc. It’s apt for creating personal and professional web portals. With its dark colour combination 907 parallax looks quite classy. With sections for our services, photo gallery, blog section and contact information, you can represent your business comprehensively. This is a wholesome Joomla template which is creatively designed and developed with an array of Parallex effects and features. 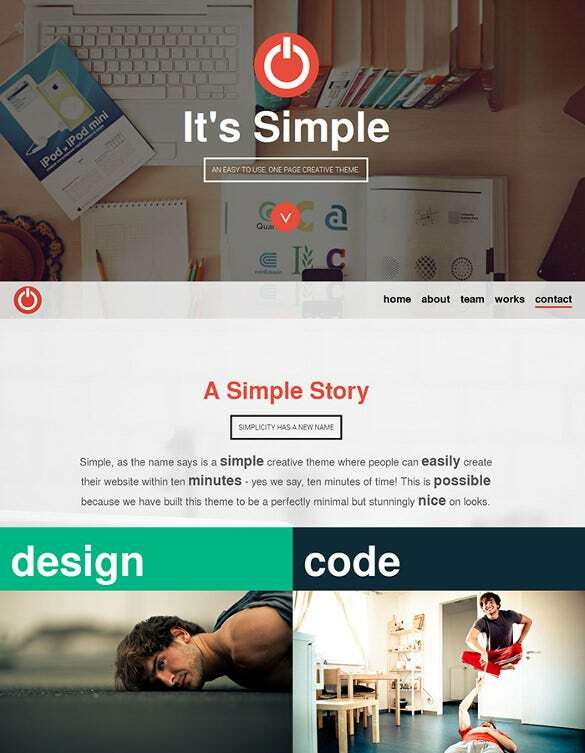 The theme is extremely simple, attractive and versatile. 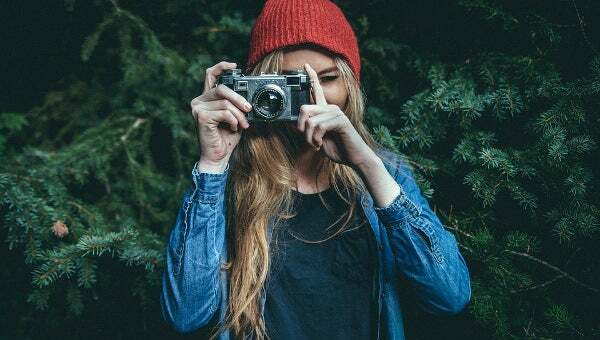 Be it bloggers, photographers, this theme is a great choice for all, and it comes powered with excellent customization settings. How to Design Parallax Website? Parallax websites are trending in the current scenario, and every wants to have a piece of the cake. 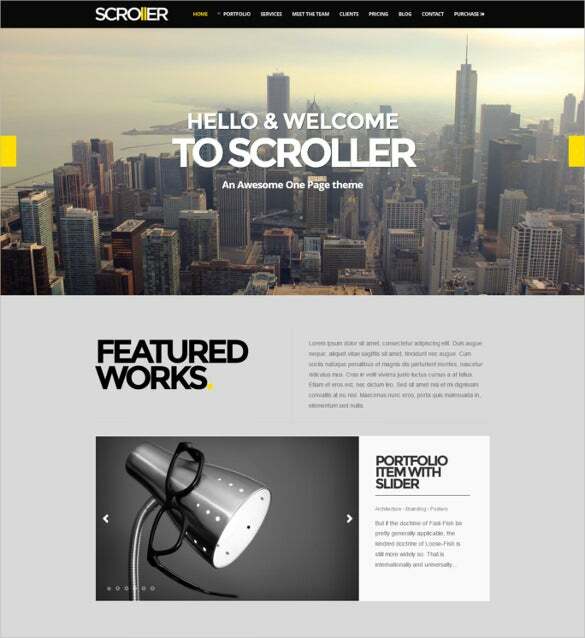 If you want to design a parallax website having stunning and beautiful web pages, you need to use gratis plantillas. They are very easy to modify and achieve the design and look you desire to have for your parallax website. Make note that the templates can be picked up either for free download with all the awesome features but there are some premium ones which are payable. 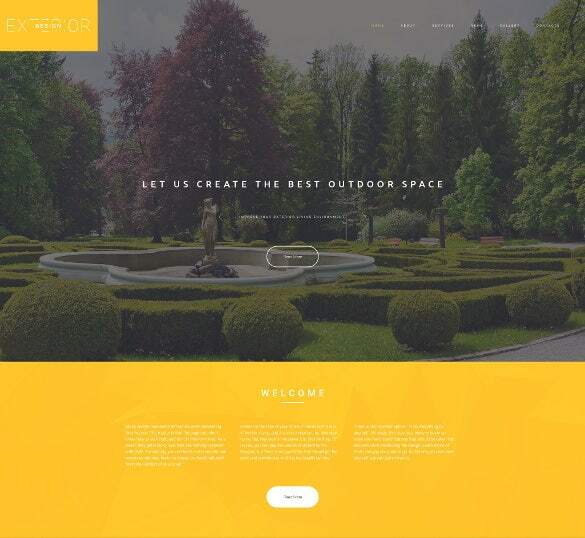 Using the parallax effects, the templates create the most unique websites which is their USP. So, start shopping and make use of the lovely templates with feature packed interfaces which are not only easy to install but are hugely compatible with all kinds of browsers and devices and make your products or services shine.